What are the Highest Priorities for Pastors in Training? As a seminary professor, I have the privilege of preparing students to be future pastors. I'm often asked the question: What are the priorities that would allow them to be in the game for the long haul? Not only to just stay there, but to flourish in their ministry? The first thing I would say is that they need to have good character. A lot of times pastors work on their skills — preaching and teaching and admin stuff. Those are important (don’t get me wrong), but other people can do that. The priority for the pastor, if I could say it that way, is to develop their character. What that means is who they are in public, and especially, who they are in private, including their family lives. They need to go deep. They can’t just go wide. If they don't have depth, then they would not survive the storms because pastoral ministry is very difficult. The second thing I would say is this: They need to have a support system or community. If they don't have friends, then they're going to really struggle. They need to have people that they can call on a whim if something happens or if something crashes and burns. In one of my pastoral ministry classes I have a project entitled the Friendship Project. I ask them to make friends in the class. Some people love it, while others go, “Why do I have to do it?” I have to explain because it's a priority for the long-term. A third priority I would say besides character and community is you have to have godly practices of your own personal disciplines. If you're not praying on a regular basis, if you're not in the Word for yourself, not for sermon prep but just for a spiritual growth, then you will do things on your own strength. That's where people start relying or defaulting to only their skills or they recycle over and over, unbeknownst to the congregation. That's when you get in a rut. There's no freshness, there's no newness, and as a result, there's no growth. So those are the three priorities I would recommend if you want to play the long game. The whole idea of your commitments to Christ in terms of your relationships, in terms of your spiritual disciplines, and in terms of working on your character. Benjamin C. Shin has served in the ministry as a pastor, parachurch leader, and professor for more than 25 years. He is a graduate of UCLA, Talbot School of Theology, and Dallas Theological Seminary. He enjoys reading, music, sports (especially the UCLA Bruins), and spending time with people. His vision and passion includes mentoring leaders, re-building churches, and teaching the Word of God. He is married to his bride, Jen and has 2 wonderful boys named Adam and Zachary. 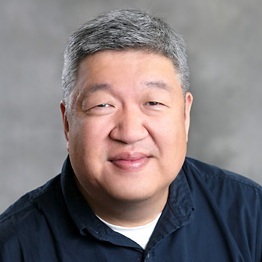 He currently serves as the Teaching Pastor at New Life Vision Church in Glendale, CA and as an Associate Professor of Bible Exposition and Director of the Asian-American Ministry track for the Doctor of Ministry at Talbot School of Theology in La Mirada, CA.